Can I trust You To Quit Smoking? The other day at Quit Smoking in 60 Minutes I had an email from a lady who said that if she came to me to quit smoking cigarettes, could she trust me? That is a really important question because if there is no trust then the process of stopping smoking will not work. In fact, when you think about it, it doesn’t matter what it is because without trust the process will not work. In a lot of cases people who come to see me have never experienced hypnosis before and therefore need to trust that I will do the right thing for them. that I will give then an experience where they feel safe and that they get their desired outcome. As a quit smoking expert, I work very hard to establish a level of trust with my clients. Without that trust the client will not allow the hypnosis to proceed. The process of trust begins the moment the client sees me. Do I look neat and tidy, do I look professional enough, am I welcoming plus many other things? In fact, the client has summed me up in a matter of seconds before I have even opened my mouth. The words after that will either reinforce the first impressions or can change the impressions. So, at the end of the day if you want to succeed at quitting smoking you have to trust the hypnotherapist. That trust is a two-way street between yourself and the hypnotherapist. It’s no different from when you go to the doctor, you need to trust. 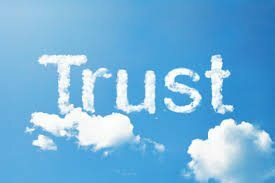 Trust can also be started by talking to your hypnotherapist when researching quit smoking. If at this stage, you feel that there is an element of mistrust then go no further and talk to someone else. Next Why Did You Start Smoking?